In the present day, it is quite easy to manipulate any image using a raster graphics editor known as Photoshop. Nowadays pictures cannot always be trusted. So, applause to the artificial intelligence, it looks like may also lie to us too. University of Washington researchers have succeeded in innovating an AI which will help to modify a particular video clip of a person speaking and match their lips movement with the help of another audio, in other words, you can say is placing words into their mouth. 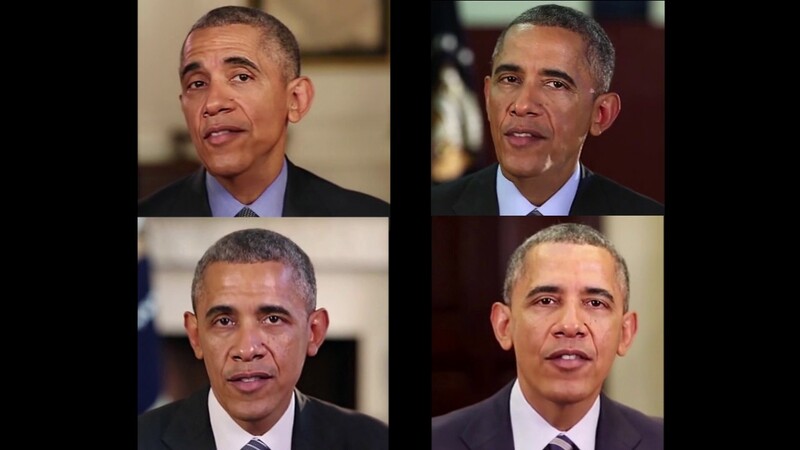 The researchers educated their Al using video and audio recording of former President Barack Obama. The footage of the President was selected from the weekly addressed videos that broadcasted during his tenure in office which the Al learned through 14 hours of high-quality video training. Through the help of recurrent neural network or RNN, the Al was able to match up the President’s words in the speech by providing the mouth shape which he made during his videos. Then the programming software made 3D mouth finish for various sounds and then linked onto President’s face in various other videos. As suggested by the team who created Al this can also be linked with other video chatting application like Skype to improve the quality of video with less bandwidth. Certainly, Al can also be used in many ways, and it is not only limited to improving video chat. Though the researchers only implanted words that were originally spoken by President Obama at some point, there has been some alarming question which their project does raise about the future of AI. With the recent problems regarding fraud on the cyberspace, it is very difficult to think of implementing AI which creates fake videos of a person that says almost everything. In spite of the problems now researchers of AI were fast enough to point out that their program works only with audio from the actual person speaking. The Al is such a program which works only on specific voice and not in anyone’s voice, but that might not be a problem to some of Al speech programs which already exists. For example, Baidu Inc., the famous web master created an Al which can copy hundreds of various languages and it can perform this by only learning from a short audio sample. When there is Baidu’s technology or similar kind of projects which are already quite advanced, they can easily imitate anybody’s voice, including President Obama also. Luckily, we don’t have to worry about the false Al videos as of now. The lip-syncing of Al is not as perfect as the original person speech and the mouth movement also looks quite hazy and is not similar to the person. Hence, the researchers have the testing footage which proves the extraordinary power of the technology both good and bad.